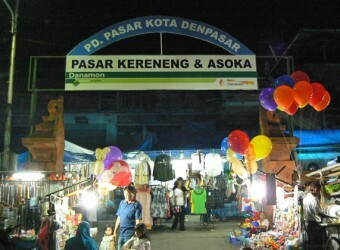 Pasar Kereneng is the biggest night market in Denpasar. Local residents enjoy shopping, cheap and energetic Pasar! The market opens from evening until night 11.00pm. Pasar Kereneng sells mainly food and goods for the local community like CDs, shoes, clothes etc. As it is the largest scale market in Denpasar, it is vast place that you cannot see the end! It`s an interesting night market like a festival. It was very difficult to get parking area, I was surprised that it`s bustling here on weekdays. The selling product doesn`t display the prices on it, depend on the price negotiation. I went there with the tour guide, it was really helpful!! The guide helped me to negotiate the price when I found watch and sunglasses that I wanted to buy. Thanks! It was a lively market as festival! This market is selling various accessories, I son found what I want. Price is based on the price negotiation, I bargained from half the price. I bought cheaper than I bought in Japan.